Had “one” (ahem) too many cookies? Turkey season is upon us. That means lots of friends, family and if you’re anything like the quintessential American, food. For me, coming home for Thanksgiving meant being reacquainted with all my favorite people, places and palatable products. After heading back home from school a few days ago, as soon as I cleared the front door of my house, I was lovingly greeted (with good intentions) by a homecoming display of every treat that’s ever tempted me. Peanut-butter cups? Check. Chocolate-chip cookies? Check. Nestle Drumsticks? Check. A month’s worth of sleep-deprivation (gotta love those midterm-paper-pset combos) and homesickness nudged me forth into the land of indulgence. Two days later, as I’m beginning to stumble out of the nine circles of food, I can’t seem to shake this sense of disappointment. What now? 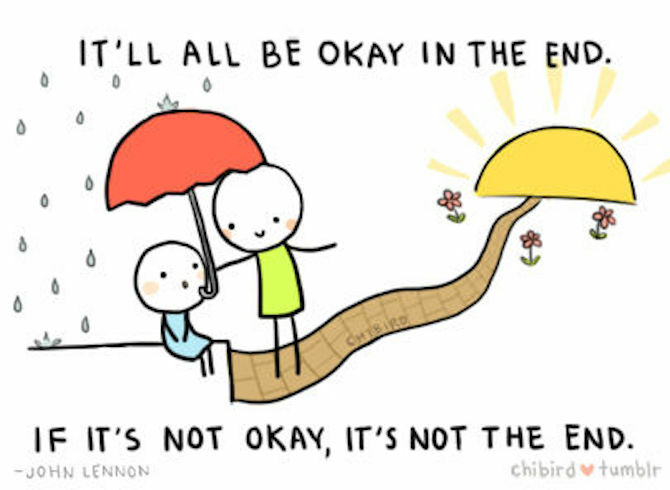 Everything will be okay. Don’t get caught up on what happened last night or yesterday or last week. What’s done is done and you can only go forward from here. 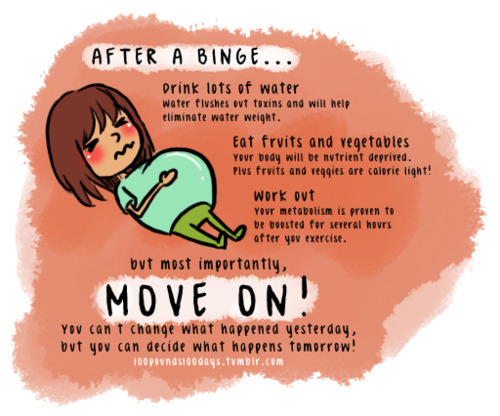 The fact that you’re reading this means you’re already one step closer to getting over your binge. Call a friend. Curl up with a book. Watch your favorite TV show (but without the popcorn). Do anything that distracts you in a non-food way. A change in setting, whether it be from a friendly conversation, page-turning plot or corny sitcom, will help ease you away from the binging mindset. Do this as soon as you comfortably can. It’s easy to say, “F*ck it, I’ve already messed up. Might as well keep going,” but this is exactly what drives many binges in the first place. It doesn’t matter if you’ve binged for a meal, a day or even a week. Everyone’s gotta start from somewhere. Once you feel ready, set the binge foods aside. Place them in a cabinet. Throw them away if you can. Do what you need to do to silence their siren song. Chances are, the binge resulted from and/or led to a sea of pent-up emotions. Don’t let these waves of negativity get the best of you. Thrash, kick and cry your way to shore: it doesn’t matter if you butterfly or freestyle. A good ol’ bawl-your-eyes-out sesh never hurt anyone. 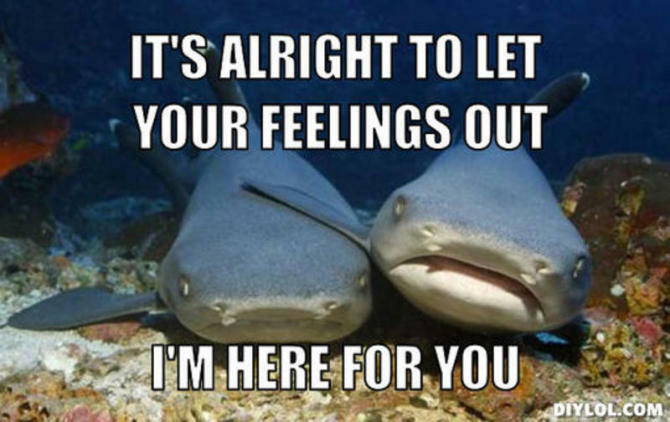 In fact, you’ll probably feel much better afterwards. Since feelings and food often go hand-in-hand, you might find it useful to learn how to eat your feelings the right way. Filling your already bulging stomach with fluid may seem counterproductive, but water actually expedites digestion and mitigates bloating. It’ll help your kidneys flush the toxins out in no time. Try to squeeze in lemon for some enzyme-enhanced liver stimulation, but if you don’t have access to this super-citrus, plain H2O will do. Ah, yes. You knew it was coming. The dreaded exercise commandment. But don’t think of it as a burden; think of it as an opportunity to nourish your body with feel-good endorphins! A word to the wise: start light. 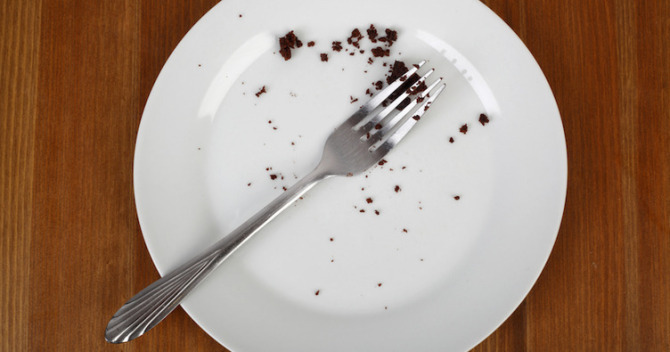 Do not succumb to the urge to exorcise every last calorie. While it’s in binge recovery mode, your body isn’t in ideal condition to run 5 miles or do 100 burpees (as glorious as burpees are). Go for a walk. Maybe do some yoga. Heck, even folding that mountain of laundry is enough to get your blood flowing. Post-binge guilt is real. Still, allowing yourself to wallow in sorrow and shame and everything blame will only make matters worse. Everyone makes mistakes: it’s a fact of life. The fact that you slipped up means you’re just like the other 7 billion members of the Homo sapiens species. If your friend confided to you about her struggles with food, would you dismiss her as lazy and gluttonous? Of course not. Treat yourself with the same compassion. Give it a try. Studies show that the simple motion of turning your lips up, regardless of how happy you are, produces physiological changes in your body to lift your mood. Put everything in perspective. In the grand scheme of things, how much will this binge matter? Life is so much more than a box of chocolates (sorry Forrest). Tomorrow is a new day. Don’t let what happened today (or yesterday or last week) define tomorrow. 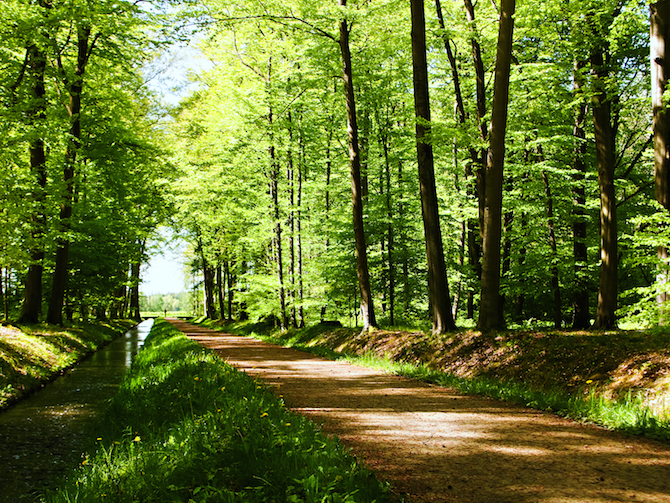 You choose what your day will be, so why not choose a fresh start? Go about your activities as usual — no juicing cleanse or detour to cardio purgatory. The best way to go back to pre-binge life is to just live. Have a balanced breakfast, lunch and dinner and you’ll be amazed by how good you feel at the end of the day. Think about what triggered the binge. Was it a long day at school/work, a fight with your best friend or an unexpected meet-and-greet with the goodies of times past (as in my case)? In the future, what can you do differently to avoid going down the same path? Keep a journal. Blog. Write for Spoon. Reflecting about “this time” and making a game plan for “next time” will save you much heartache (and stomachache).